Earlier this year I went to Istanbul and I went again because a. it’s a tremendous city that I barely scratched the surface of. b. I have a friend there. Not only that, this is someone who has a similar lens that I do for analyzing society. Thanks to this incredible friend, I was able to observe a little bit better how the social fabric of Istanbul was woven and to see nuances of juxtapositions evident in daily life. The integral weaving of a traditional society and a modern one. Modesty among frivolity. The contradiction of politics and morality. Gender roles. Unspoken laws of love. Economic disparity and class divides. Gentrification, development and urban decay. 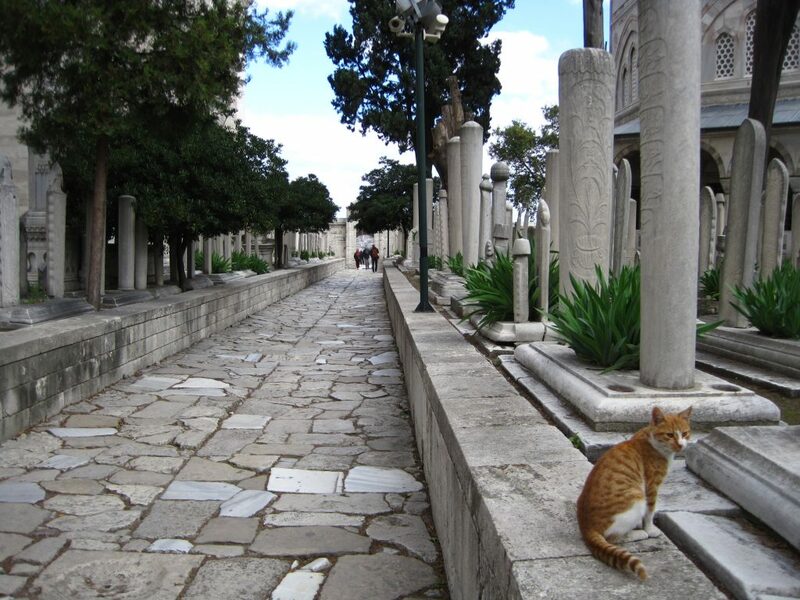 Yet, I was constantly impressed by how much more things were organized in Istanbul compared to cities like Rome. Especially public transport! While I did recognize these notes, I kept reminding myself that Istanbul is not representative of Turkey and to be honest, at least alcohol is not banned (not yet at least). Something that I appreciate about Italy is that pretty much everyone can eat amazing food no matter what their income bracket is, granted they have a job. There are high level professionals that maybe earn 3 times, maybe 5 times more than a service worker. In the US, a lawyer could earn $300 an hour while a barista makes $8 (okay, PLUS tips.) I’m not saying I think a barista should make $300 an hour or a lawyer make $8, but I just don’t think that 2 hard working people should be divided by that much. For me, it all comes back to food. It is my gut belief that food is an essential human right and even the good stuff should be accessible to everyone. I think humans have a right to live pleasing experiences. What would the point be to living if we lived on bad or mediocre food? In Istanbul, I went to some pretty amazing eateries, but I was also really taken aback by their pricing at times. Realizing that most locals could not afford a 18eu/50lira lunch. Even for Florence standards, 18eu is a pretty steep lunch. If you consider that a service worker maybe makes 1000-1500lira a month, these eateries are obviously pricing out a certain demographic. I started to wonder then…who actually eats here? 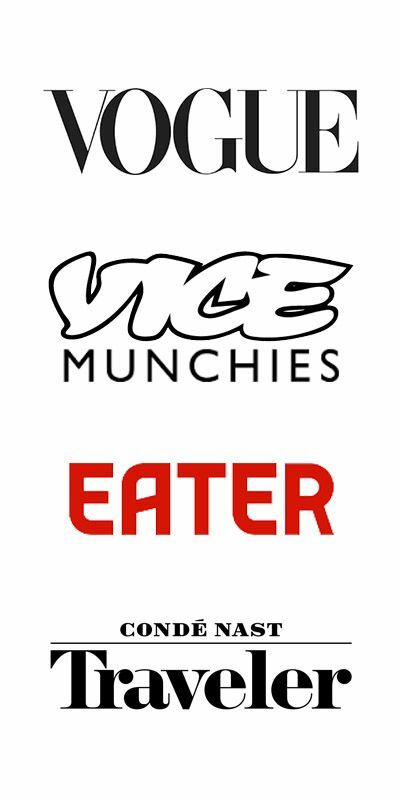 After following guides to eating in Istanbul, I began to wonder if some eateries had started calibrating their pricing based on the amount of foreign clientele like me coming through based on recommendations from international publications who communicate to readers traveling on stronger currencies. I want to eat where the construction worker eats. Where lawyers, teachers, service workers, nannies and taxi drivers eat side by side. Where folks who risk their lives in traffic delivering kebab on a scooter through Istanbul’s heated traffic eat. Sometimes I want a little bit of luxury but I don’t need it everyday. I am happy with a 5 lira bowl of soup made by a sweet, hard working man and his son. While I realize that economic divide is just the way of the world, and has always existed…and in fact we are probably fairer now than in ancient times…(for those of you who think the world is terrible, unfair, violent, barbaric and disgusting- I highly recommend you read The Better Angels of Our Nature or anything by Stephen Pinker). Back to food. As I mentioned in the beginning of this article, one of the things I need to do is to wander and get lost. I must say, one of the things I sort of had to plan was eating. Istanbul is an enormous city and while it’s easy to eat well, it’s also easy to eat not so well. For the most part, you can’t go wrong. But I wanted to try things that were unique, where purveyors were putting some passion and soul into their creations. Also, I was really lucky to have a sort of tour guide in the form of my friend who has been living there for work and who took me around to some cool corners of the city. When I was on my own, Istanbul was a bit overwhelming. It’s easy to get lost in run down streets with construction debris a muck. Nevertheless, it was exhilarating and I loved every minute, sound, color and smell. If you don’t have the fortune of having friends in Istanbul to take show you a slice of a more real Istanbul, I highly recommend Istanbul Tour Studio. I didn’t get to hang out with them on this visit, but on my last one I got to do some really cool tours like a Street Art Tour and a Neighborhood Foodie Tour. On this trip, I remembered the eateries, neighborhoods and the offbeat street art which I was able to share with my friend as we perused the city on our own. A lot of my eating involved pointing to things, following my nose and referring to guides like Lonely Planet and Katie Parla’s Istanbul App. The editor of Lonely Planet for Istanbul is a delightful writer with a discerning palate and passion for the local culture. 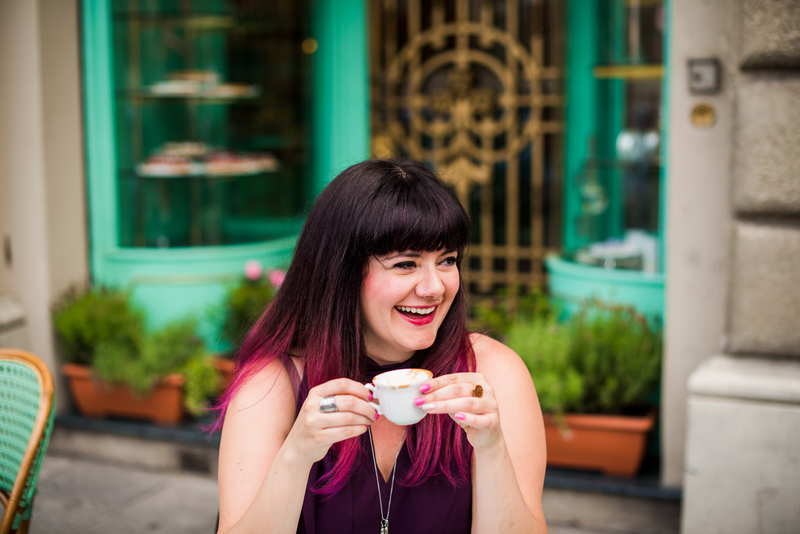 What I really enjoyed about Katie Parla’s app is that there was a GPS component and if it was pretty spot on if I was in a bind, hungry and without patience to wander around until my nose brought me to something worthy. 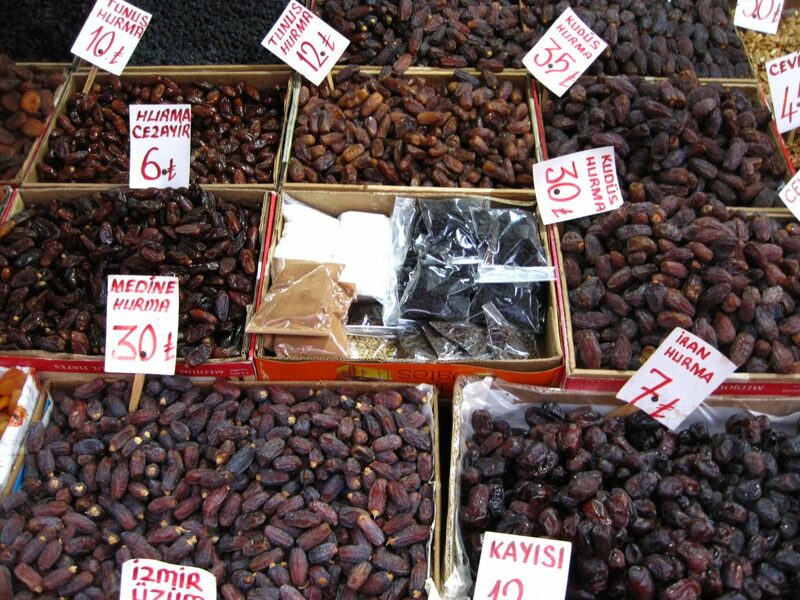 In any case, I’ll cut to the chase and let you know my picks for eating in Istanbul. 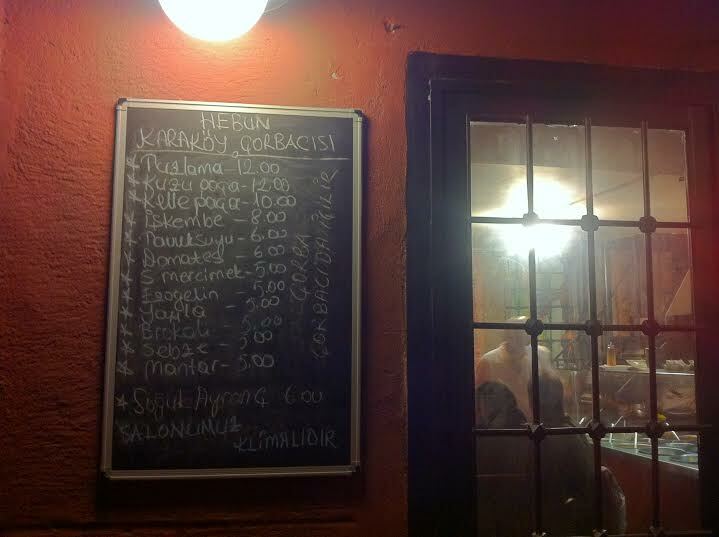 Hebun Gorbacisi in Karakoy– Please forgive my lack of squiggly accent marks that the Turkish language demands. This was probably my favorite meal in Istanbul. Because it was hearty, it was cheap, incredibly tasty and it was honest. This is a place where everyone could go to enjoy a bit of comfort food. This soup hole-in-the-wall has soul, it was filled with locals, run by an older gentleman and a younger one who could have been his son. It was so sweet and pure. I wanted to have 2 more bowls after my lentil soup, so distinctively spiced, savory and warming. Yedi Sekiz Hasanpasa Firini in Besiktas– I love pistachios and this bakery was full of fresh baked goods filled with the stuff. It’s a bakery. Not much else to say besides owing a huge apology to my pancreas. 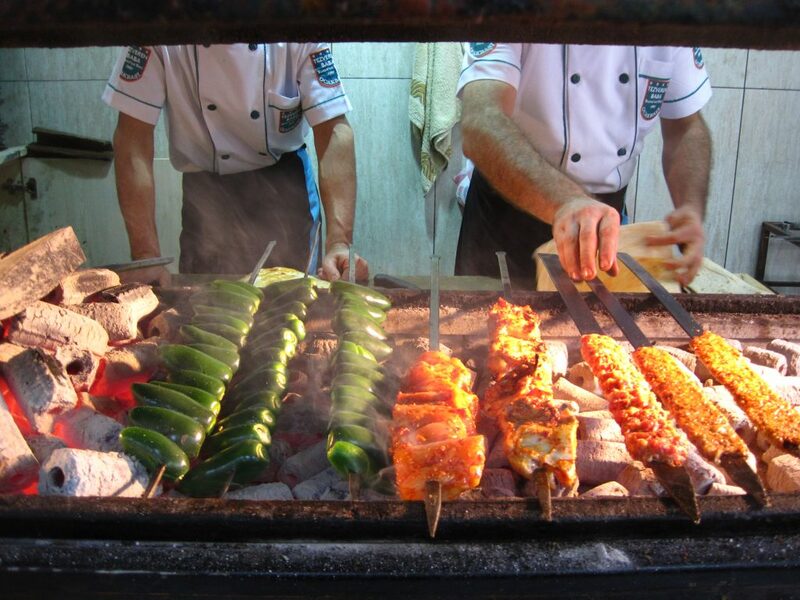 Ciya Kebap in Kadikoy– This was recommended by many food/travel/culture publications like The New Yorker and Food & Wine. The claim to fame here is the chef is from the southeast of Turkey and serves authentic food which protects regional delicacies/methods from various corners of Turkey and the Middle-East which are less practiced and are in threat of extinction thanks in part to fast food’s rise in popularity. 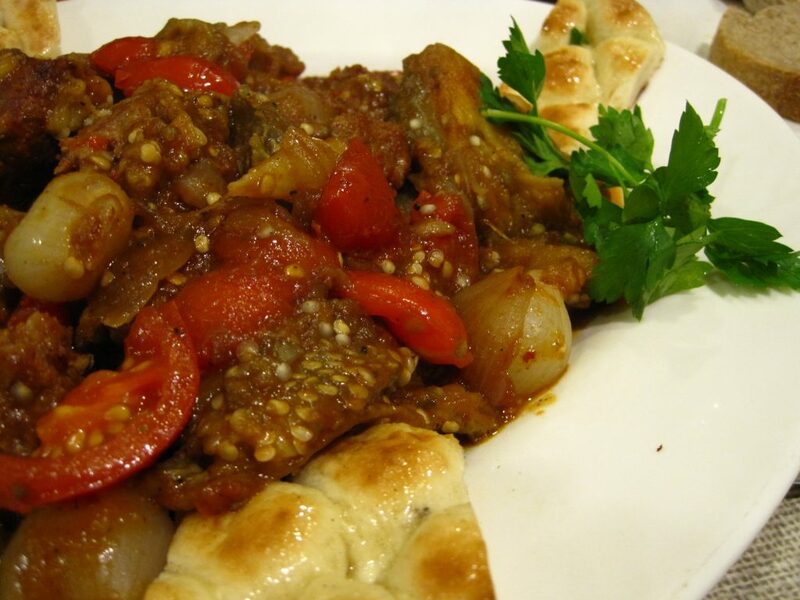 I had the sour kebab which was lamb/beef cooked with stewed eggplant, tomato and onions with slices of in-house baked flatbread underneath. I’d like to take this opportunity to thank my travel pal for being a great sport in all my eating wishes “oooooh can we go here??? Puleaaaaase?” It was one of the best meals in Istanbul, hands down. Tezveren Baba Kebabci– On Sunday, my friend had a surprise planned and it was to trek it to Aksaray and Little Urfa. I can’t even begin to tell you how much I loved this area’s clothing outlet shops. The only way I can describe it that the window shopping would have been a candy store for Amy Sedaris’s instagram feed. Besides that, it was a really interesting area away from the pristine touristy Sultanahmet areas most thudded and walked through. You get the sense that this was a worker’s quarter, a bit of seediness due to its reputation for its red-light district and is named “Little Urfa” after a small town which is near the Turkey-Syria border. Therefore, a pretty diverse quarter of Istanbul as well. 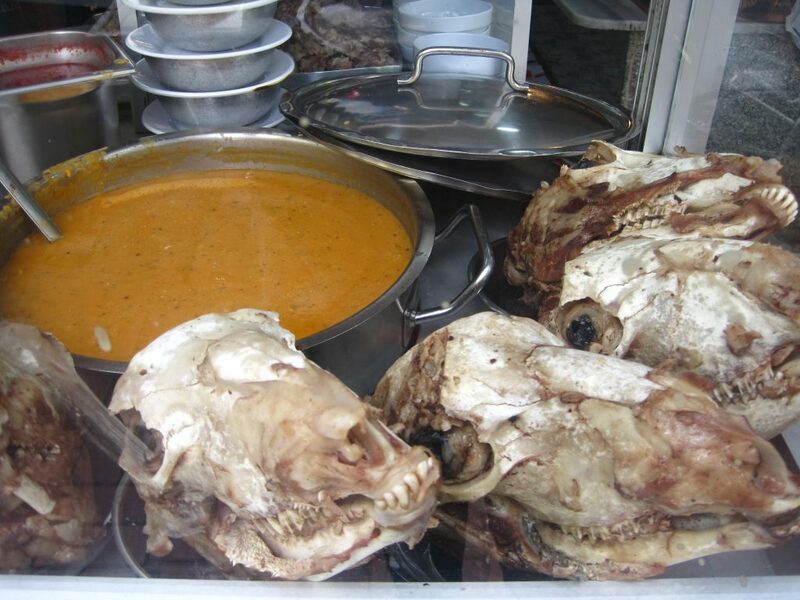 Aksaray’s ethnic diversity was evident as the goat’s heads were out to display. A sight my friend has yet to see in other more strictly Turkish parts of the city. Interestingly enough, there was an Iranian man next to us eating the head. I ordered Aryan with my lamb’s liver and was a bit bummed when mine came in a plastic bottle and a straw and the guys at the table over had theirs poured into copper cups from the homemade batch vat. I wonder if they gave me the prepackaged stuff thinking as a foreigner, I couldn’t appreciate the homemade stuff. Aryan is a salty yogurt drink and I suspect you probably made a sour face at the thought of that over a beer. Well, firstly it’s not so easy to find booze in eateries in Istanbul. And as I may have said a million times on the blog already, I’m half Iranian. Growing up and at family gatherings and meals, we drank something called doogh which is also a savory yogurt drink, with a few variations including mint and carbonation. 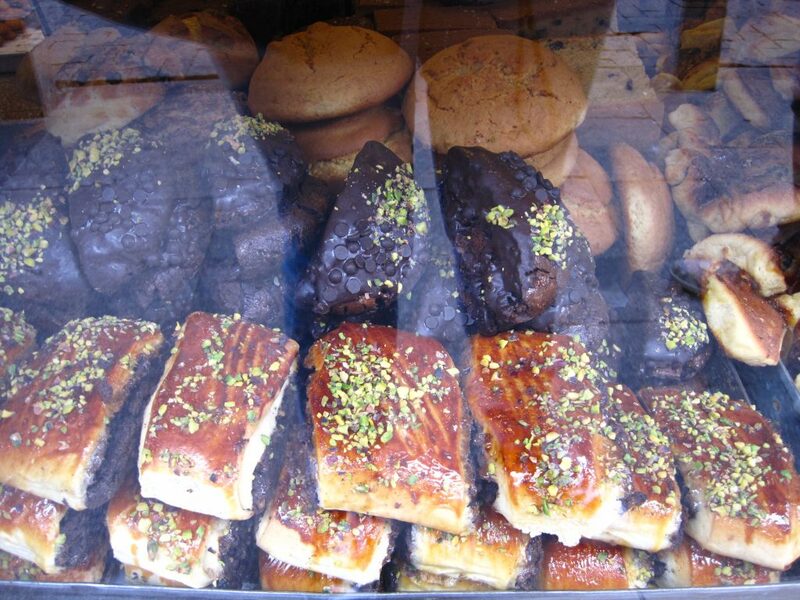 Tarihi Balikcisi in Karakoy– With some dodgy street crossing (don’t tell mom), hangry and stubbornly wandering (i.e. refusing to eat until I found the treasure at the end of the hunt), I was proud that I found this place on my own. It seems like there are 2 locations, but I was in the humble, wood finished cafe with views overlooking the hardware shops and what seemed like dirt streets, not the splendid waterfront views. I didn’t have my friend with me on this day (yeah, apparently people have to work when you’re on vacation) and I wanted to find something on my own without obsessively checking my guidebook/apps. I said to myself “dammit I’m a food blogger- this is my job! I am completely capable of finding something on my own! Hrmph!” Well, I did have some help in the sense that I wandered through the local fish market on the last trip. It was an interesting location, being in the middle of a ton of hardware shops, parking lots and paint shops. I went in and asked the guy “what’s the best” and without hesitation, he suggests the sea bass wrapped in paper and then grilled. Served first as an appetizer was a generous bowl of fish soup and a hunk of warm, crusty bread. When delivered, it was like opening a present. 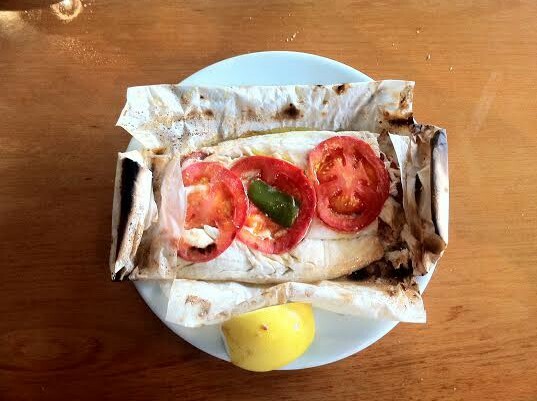 Inside, the fish was perfect, moist and drizzled with olive oil and sandwiched between sliced tomatoes. Tarihi Sarmacisi in Fatih– I really like this neighborhood. Again, it was another humble, modest locals quarter filled with food shops, butchers, cheese shops, bulk dried fruit and nut stands and surrounded by really beautiful mosques. My pal would take me to the most beautiful mosques to take breaks from all the street strolling and eating delights to just sit and soak in more of Istanbul’s beautiful culture. I could have sat inside for hours, not saying a word and just in awe of the intricate beauty of the architecture, colors and paintings inside each and every one of them. 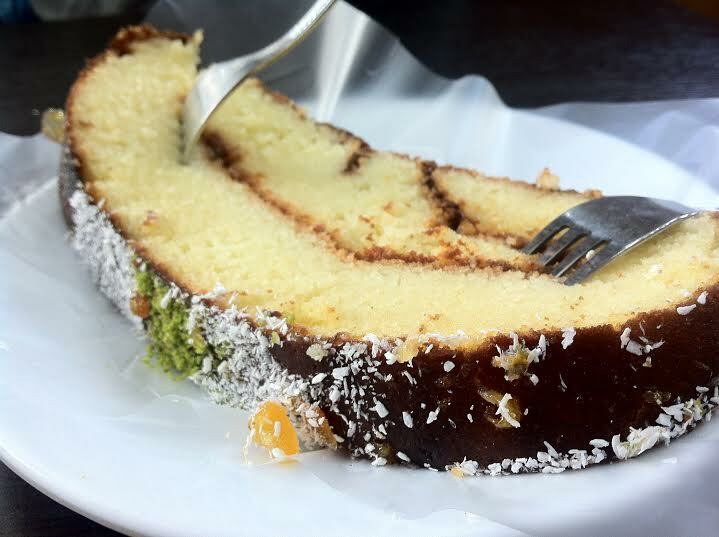 Fatih is also home to this local cake/sweet called Sarma, a spongecake soaked in simple syrup, spread with a layer of fruit jam, wrapped and sprinkled with crushed pistachio and coconut. I’m usually a chocolate cake fan or a sweet covered in nuts and cooked in butter (like baklava) but this was surprisingly luscious, well-balanced in sweet vs texture. The shop owner was really sweet and went out to bring us some tea from a shop next door to help un-stick our palates during this indulgent snack. 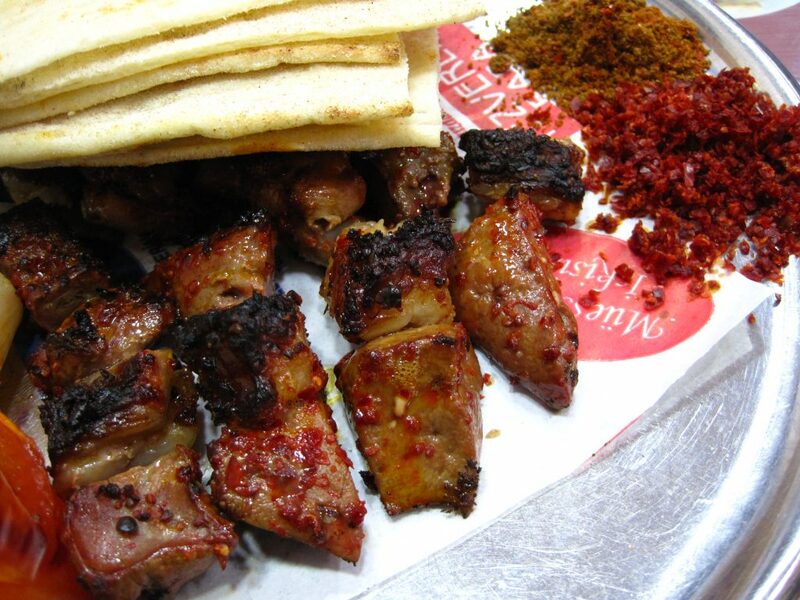 Sidika in Besiktas– This was my last meal in Istanbul and it left quite the impression. 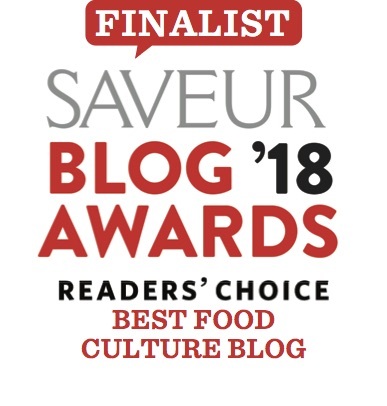 They have a truly gourmet selection of meze (cold, vegetarian-based side dishes) including a chopped pistachio and salty cheese spread and fresh dill and fava bean mash plus fish mains like seabass wrapped in grape leaves and grilled until crispy on the edges of the grape leaves. They serve decent local wines, even though I couldn’t tell you a thing about them other than the fact they were pretty fruit and aromatic, not too sweet but you could tell these were more bold warm climate wines than crisp, cool climate wines. 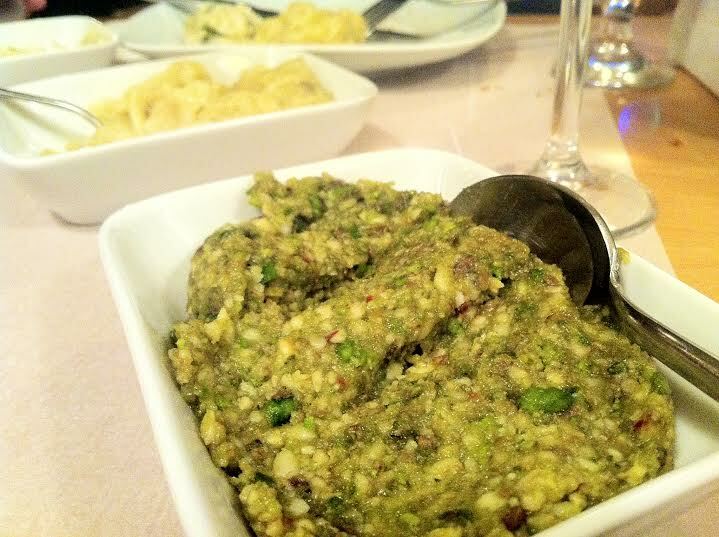 Pistachio and cheese meze. HEAVEN! Don’t eat at anything off of the Istiklal Avenue. It’s mostly fast food. Don’t waste your time on street Dondurma (the local Turkish ice-cream). It’s a cool sight to see, because they play tricks and ring bells, but the cones are stale and the ice cream is chewy and has no flavor whatsoever. I figured this, but I had to see it for myself. Plus it’s 10 lira and out of principle, that’s a massive rip-off. When eating out…If you get your bill and there is an extra charge which is hand-written while the rest of the receipt is printed, you should ask why. 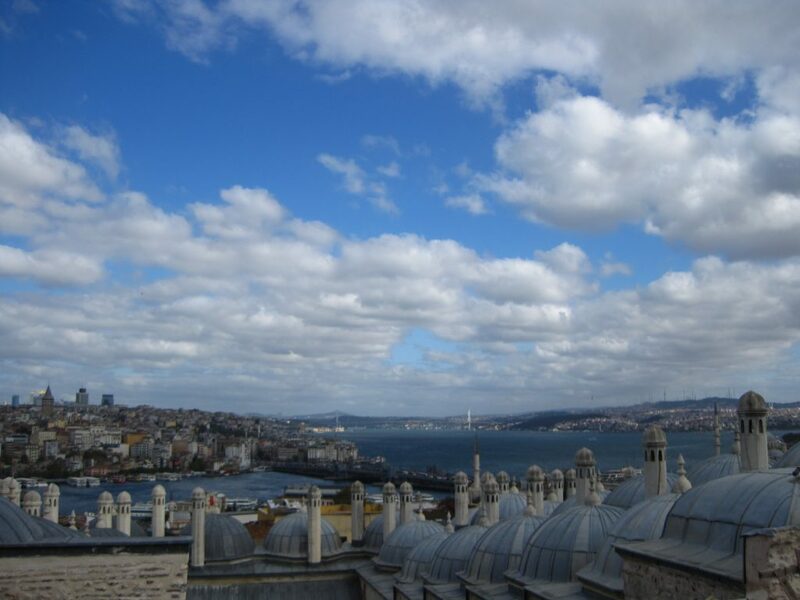 I highly recommend the Lonely Planet guide for Istanbul. The Modern Art Museum is a must-see, and was recommended to me by my fellow blogging pal Girl in Florence who has been as well. My favorite place to drink beer was in Karakoy on the Asian side. I really liked Turkish Airlines- it was one of the most pleasant flying experiences to date and the food on-board is edible. 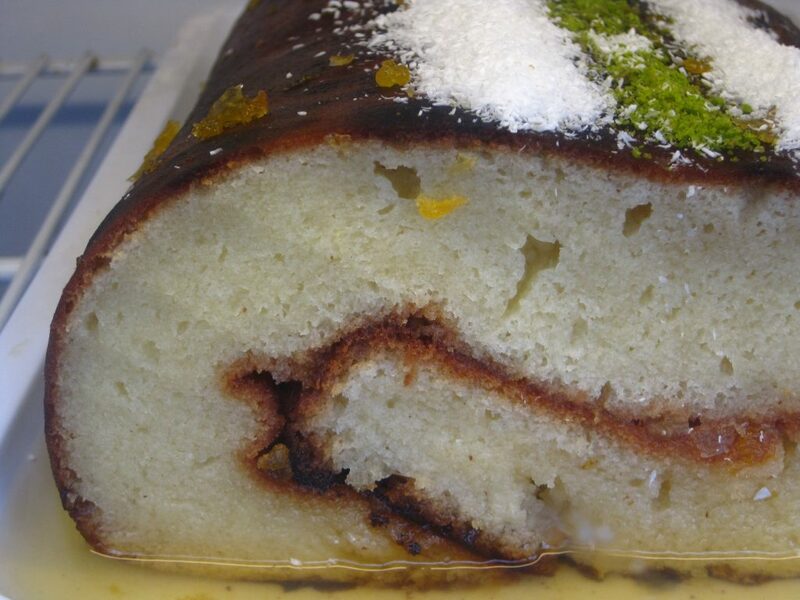 From Italy, it is pretty easy to get there with direct flights from Bologna or Rome. If you are traveling from Florence, I recommend taking the shuttle bus from Florence to Bologna and not the train + bus transfer to the airport. For lodging, I recommend Airbnb and stay in Cihangir or nearby. Getting around…I recommend hiring a local guide at least for one day. They will really help you get your bearings and reduce the amount of confusion so you can enjoy the city to it’s fullest after having an introduction. The streets and maps at times seem to have no sense or order, and don’t count on google-maps. Again, I don’t mind getting lost and wandering around, but I can see it may be frustrating for people on a limited time or who aren’t a whimsical, aloof traveler. Have you been to Istanbul? Any tips you’d like to share? Leave a comment! Want to stay in touch for future travel adventures? Scroll up and subscribe to my blog by clicking the subscribe by e-mail option! 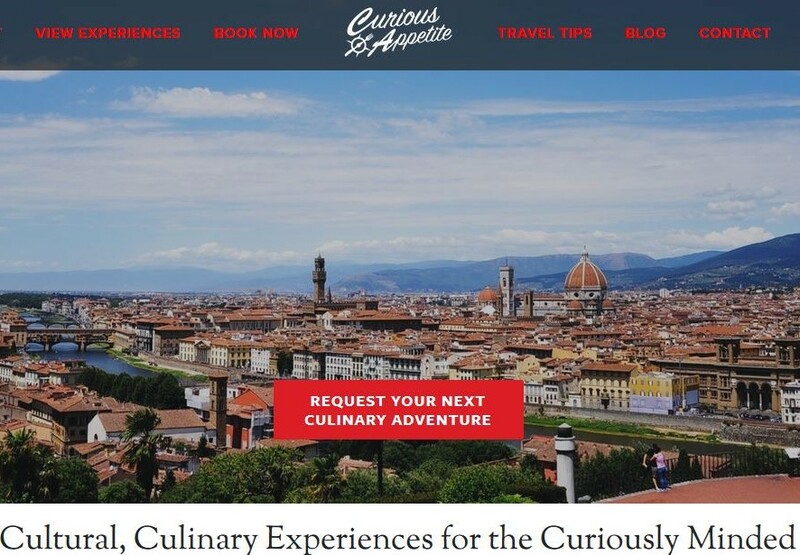 Follow on instagram and facebook for live travel tips, notes and updates from Italy and around the globe. Buon appetito!